Paperplane Pursuit Rather Not Hear That They "Don't Sound Local". Here's Why. A dream, a passion and sheer talent saw two 14-year-old teenagers taking the first step of their music journey and starting a band that would go on to win international recognition. 8 years ago, Paperplane Pursuit started out with founding members John O and Dru Yap. Since then, the band continues making music for simple enjoyment while chasing their big dreams. 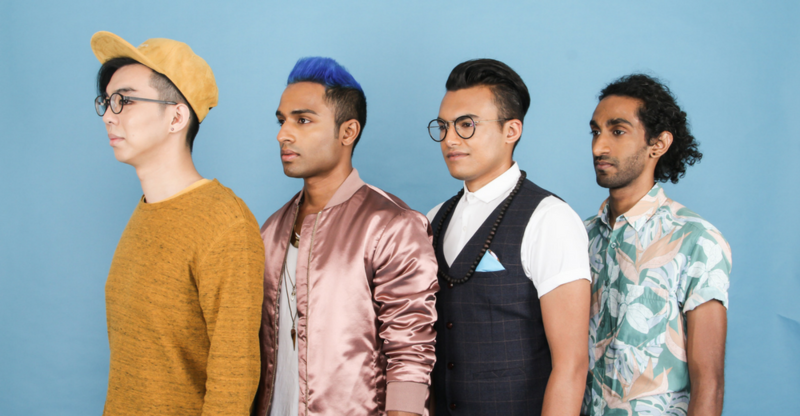 They went through several member changes before Isaac Ravi and The Chief joined the duo to form the current lineup. 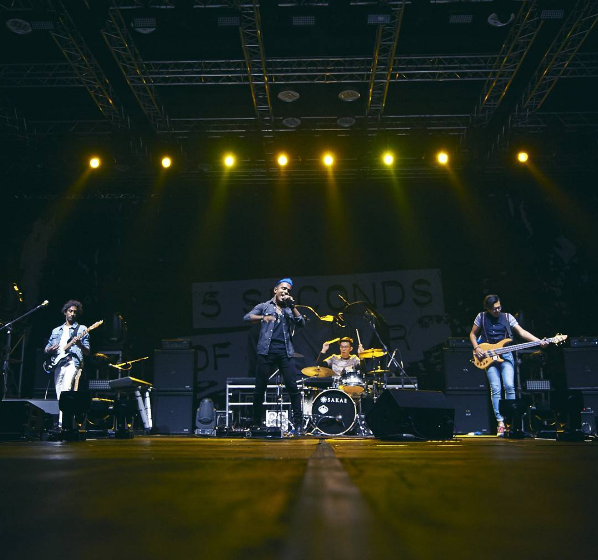 And together, the four musicians continue to make a name for themselves in the local scene. 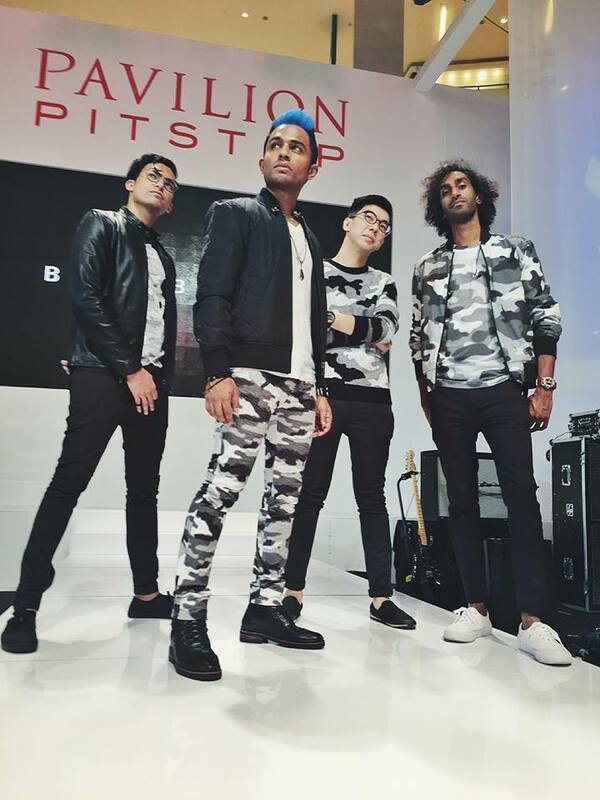 As a local pop band who pride themselves on being self-funded and self-managed with no label backing, everything from the music production to their music videos and marketing strategies is all handled by them as well. Having songs that are radio friendly with catchy hooks and infectious melodies helped them earn rep and fans. Though the band has been playing for a while, it wasn’t until 2014 when they released a song called Feel Good that brought them to the limelight. The band continued to see success after they managed to break into the US Billboard Mainstream Top 40 Indicator Charts in September 2015 where they topped artists like Maroon 5 and Adam Lambert. 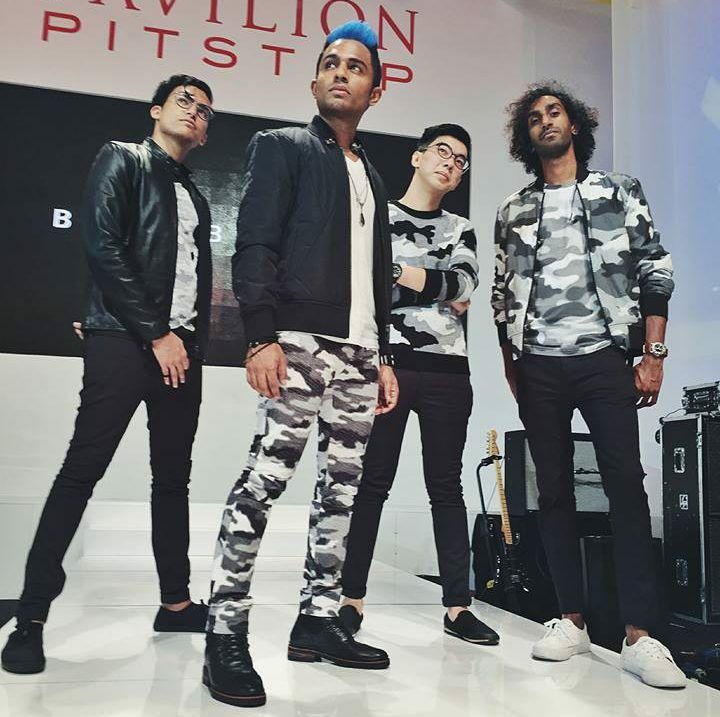 The song also remained on the charts for 7 weeks and they became one of the most played artists on Malaysian English language radio with 3 consecutive hit singles. But all this noise has done little to divert their image away from their original vibe. “The band’s public image is mostly a portrayal of our shared values and traits as individuals but at the same time we aren’t afraid to express our thoughts and opinions on serious issues,” said John. Rewinding back to when they were just starting out, John admitted it took quite a while for the band to get their first significant break in the local music scene. After countless hurdles such as financial challenges as well as finding a balance between the band and their day jobs, the members are pleased with where they are today. Part of their fame is attributed to their sound. Many Malaysians have noted how they doesn’t sound “local” which may be meant as a compliment but also has the band feeling conflicted. “It makes us sad that this is often the highest compliment a Malaysian can pay a Malaysian artist. The comment hints at the lack of pride with which most Malaysians view our nation and all things Malaysian, which is why sounding foreign is something to be aspired to. We hope we’re doing our small part towards to change this mindset,” said John. After being in the industry for awhile, Paperplane Pursuit has seen how the local industry has evolved. Though there have been reports of musicians still feeling there is lack of support, John talked about some noticeable changes. “For the local English scene, it seems easier for sure. Particularly if you’re making pop music. The biggest English language radio stations in the country are now actively on the lookout for fresh new local music to play, which is a far cry from what we experienced when we were starting out,” said John. However, he did mention that every generation faces its own challenges so there might be some that goes under his radar. He went on to commend the media for being helpful in getting local talent out there. “But be intentional about seeking out those who will give you honest, constructive feedback with the intention of seeing you improve. Then be open to their honesty, make the necessary changes, and don’t stop trying,” said John as advice for those struggling in the local music scene. It’s looking to be a busy year for the boys. 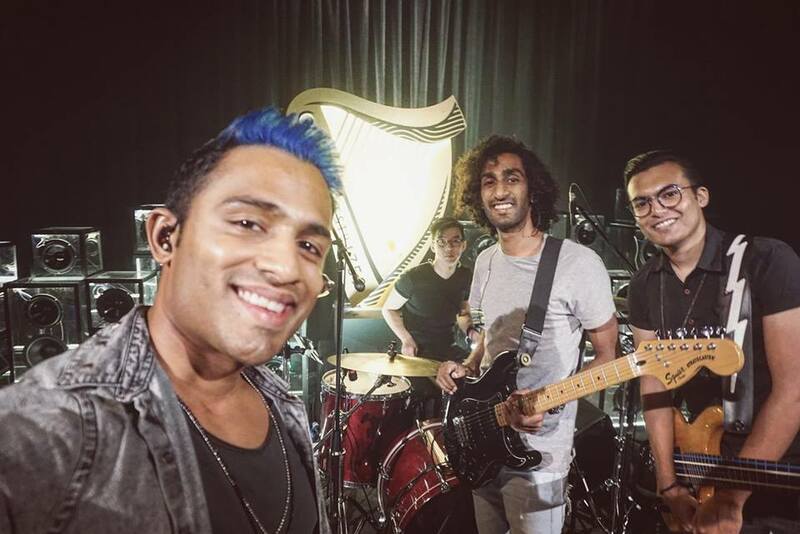 Besides being shortlisted to play for the South by Southwest in Austin Texas, the band hopes 2017 will see the release of their new album as well as breaking into the Singapore, Philippines, Australian and American markets. Speaking of media, the latest release of Paperplane Pursuit actually touched on this topic of social media consuming the current generation. When John was approached by a relative’s daughter at a wedding, she had asked how the band got to be famous which took him by surprise and created a creative spark for him to create a song revolving around this subject. “At first listen, the song pokes fun at internet behavior and ‘social influencer’ culture, with tongue planted firmly in cheek. No internet trend is spared, and the song even takes stabs at brands and corporations all vying to launch the next ‘viral’ campaign. Beneath the surface, the song also ponders the real world consequences of social media, and this generation’s insatiable appetite for fame and instant validation,” said John regarding Internet Celebrity. Although it seemed they were firing shots, Paperplane Pursuit admitted how they too fell prey to the internet fame trap. They were guilty of some ‘offences’ mentioned in the lyrics but the irony was intentional. “No doubt, the song is fun and cheeky, but the song came about largely because I was feeling a growing discontent with the effects social media was having on me, and the way it subtly shaped my own attitudes and behavior for the worse. As it happens, that’s clearly not a problem that’s unique to me,” said John. Seeing how influential social media is, it became a question on whether music needs to depend on social media to grab attention. The band themselves said they often thought about this. “We only recently had a discussion about how social media often encourages ‘making noise’ without any real substance. With that in mind, we’re rethinking our approach a little bit, and seeing if we can manage with less ‘noise’ online and allowing our art to speak for itself instead,” said John. Fave Has Taken Over Groupon Malaysia. ‘Nuff Said.